Usability is common sense. Good design is common sense. After all, there is no point building a site that is unusable, or a site that isn’t designed well. Typically, talk of usability orients around function i.e. ensuring websites are easier to use by streamlining content and making navigation clearer. The problem, like with any set of functional guidelines, is that usability is about much more than functional interaction. Both usability and design are about communication. Form and function are important. But before form and function comes purpose. The purpose of a website is to attract and retain interested visitors. The purpose of a commercial website is to sell. No matter how well designed, or how usable a website might be, if it doesn’t address a need, then great usability and great design will not help. The web is littered with examples of beautiful form and function that serve no purpose. Let’s say we’ve identified a market niche. We’ve found a need in the market that isn’t met elsewhere, or we can meet that need better than competitors. Let’s look at five ways to ensure we communicate our message effectively on the web, even before we start to execute. Do you know who your buyers are? What they want? Where they live? How old they are? If they have credit cards or not? Are they well-off, or poor? Educated? Usability often talks about creating personas – a characterization of different types of users. This can be a useful exercise in identifying your market, as it gets you thinking from the users point of view. However, personas they have their limits. People aren’t cartoon characters and will act differently in different situations, so what we’re really looking for is a commonality most of your users share. What is your core message to your typical user? Write it down. In bold. Weigh every decision you make against that core message. Almost everything you do should enhance communication with your common user. Your terminology, graphics, pitch and approach should be in sync with your typical users. Communication, and trustworthiness, is enhanced if all aspects of your site are consistent in terms of approach. A visitor does not have to be on your site. A visitor is one click away from leaving your site. A visitor has made almost no time investment in getting to your site.There are plenty of other sites. They have all the control. If you do not meet the visitors needs, they are gone. Makes you wonder why so many sites spend so much time talking about themselves, huh? No doubt you’ve seen such sites, where the first thing you hit is a mission statement, followed by a summary of how great the company is. Do you understand what your typical visitor wants to achieve on your site? Can the visitor find what they need quickly and easily? Does you page affirm to the visitor their needs are met and they are in the right place? Hollywood uses storyboards to graphically show what happens now, and what happens next. A plan for a website can be laid out in similar fashion. Map out, on sheets of paper, the steps a visitor must take in order to reach conversion. Are there too many steps? Are there any steps that are unnecessary, or divert the visitors attention? Note down at each step the internal dialogue a visitor might be having. What questions do they have in their mind? Are you “answering” them? Relegate diversions, the equivalent of sub-plots if we’re to extend the movie metaphor, to areas on the site the user can access only if they want to – about us, mission statement, contact details, etc. You can use flow-charts as well, of course. Even a site based entirely around a video presentation uses copy i.e. the script. The words you use help persuade a visitor to take action. They can just as easily put a visitor off, so must be chosen with care. Use short sentences and paragraphs. People will not start reading a lot of dense copy unless they have an existing, positive relationship with you. Pay careful attention to the hook i.e the headline and first paragraph. Talk about the visitors needs and wants. Use the active voice. Use simple sentence constructions – verb + object. Proof read very carefully. The copy should proceed logically from one concept to another, leading a visitor towards taking an action of some kind i.e. clicking a button, filling out a form, bookmarking, or reaching for the phone. Make sure you know what the desired action is, and – conceptually – write “backwards” from there. Only once your user-centric concept is nailed, storyboarded, and written should you build. A great concept can be ruined by poor execution, particularly when it comes to design and usability. A lot has been written on both topics, but the 80/20 rules applies: Keep design simple and functional. Remove anything unnecessary. Be sparing with the use of graphics, navigation options and distractions from your central message. Orient around your core message. In terms of non-core pages, people need to be able to get to your contact page easily. If our landing pages aren’t converting as well as we’d like, it might be a good idea to look at how we’re trying to persuade visitors. We need to make a compelling offer, but we also need to pitch that offer in a way that persuades a person to take action. There are many barriers to taking action, even if the visitor really wants what we have to offer. Once we identify barriers to purchase or take a desired action, and break them down, conversion rates will rise. Let’s take a look at the most common forms of resistance, and how to persuade visitors to overcome them. People are social creatures, and most people prefer to run with the herd than stand apart. It might be irrational, but people feel that there is comfort in numbers. Social proofs are indicators that other people have taken this choice, and that they’re happy with the choice they have made. Look at how Apple uses social proof. The launch of the iPhone and iPad are social events. Images of people lined up around the block abound, and when someone makes a purchase, they typically hold it aloft! The crowd cheers. Whatever your view of Apple, social proof doesn’t get any more powerful than that! People everywhere desperate to purchase, and there is validation from the crowd once you have made a purchase. The message has a flip-side that reinforces the message of social proof: you’re alone if you DON’T have one of their devices. Social proof is such a powerful means of persuasion that it trumps convenience. Lining up around the block to purchase an item that might not even be available once you reach the counter isn’t exactly convenient. Think about ways you can provide social proof on your landing pages. Recommendations from past customers, photos of groups of people using your product or service, mentions in popular media, etc. Think of your site as a place “populated” by real people engaging in a relationship, as opposed to a set of pages. How many options can you keep in your head at any one time? Three? Seven? Twenty? Most people become confused when presented with too many options. If they become confused, they will tend to disengage from your message. On the one hand, giving options gives a sense of completeness, but this has to be weighed against the risk of creating confusion. Limit your desired actions to three or less. If you stock a wide range of goods or services, take a tip from Amazon. Highlight the most relevant products up front, and let people dig down if they want to find something else. Your pages should be simple. Be bold. Clutter adds to confusion, and doesn’t work on landing pages. Keep taking things out of your web design until the choice people need to take is obvious. Test on family and friends. In the Apple example above, there is jeopardy at work – a buyer might miss out. If people land on your page and feel no sense of jeopardy, then they are more inclined to shop around, or make no decision at all. Some sites use tired cliches to create jeopardy like “if you don’t order now, you’ll pay more later!”. The problem with these approaches is that they can undermine trust if not handled carefully. There really must be genuine scarcity for it to work. This is why time limited sales work, but only if the buyer sees that prices do indeed rise afterwards, and those prices are higher at other vendors. You can also use emotional jeopardy. If people don’t buy, then they are not part of the group. If people don’t buy, they won’t receive on-going benefit. Again, this has to be handled carefully, else it can cross over into the realm of the manipulative. People who sense they are being manipulated are likely to back off. Do you give something way? Can you? Reciprocity is a strong human need. We want to give back to those people who give to us. The flip-side is also true – we don’t feel the need to be generous to people who aren’t generous with us. If there is something of value you can give away, do so. View it as a marketing cost. It helps build a relationship and a sense of reciprocity. You could give away a detailed study, a white paper, product samples, etc. Indirectly ask for something in return – like say an email address so you can contact them later. There is a lot of nonsense written about copywriting. The more prescriptive copy writing courses describe how to write copy, seemingly suitable for any PPC campaign, regardless of audience. “Use big hooks, create immediacy, use long sales copy, tell a story, start with “Dear Friend”. There’s really no such thing as generic rules for copywriting. In order to write copy that sells, a writer must make the right offer to the right audience. No matter how well copy is written, if the offer isn’t compelling to the target audience, then PPC campaigns won’t succeed. Therefore, good PPC copywriting should start before a word hits the page. 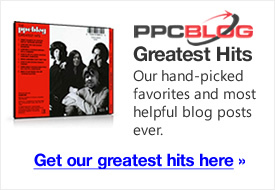 Good PPC copywriting starts with market analysis, observation and understanding people. The first step is to undertake market research. Compare your offer with those of your competitors. Examine the existing PPC ads in your niche. Pay the most attention to the top three advertisers. If they keep advertising for any length of time, their offer is resulting in high enough click-thru rates, and return, to earn them those positions. They most likely have the offer and wording right, or close enough. Compare the top three ads with those ads lower down. Bid prices and other metrics aside, the top advertisers often use wording that is more compelling. Do you notice a marked difference in wording and the way the offer is presented? Are they giving something away for free? Are they promising something that sounds remarkably valuable? Next, examine the advertisers landing pages using the same criteria. Take note of what they are asking the audience to do. Are they asking people to “Buy Now”? Are they merely asking them to give an email address? Are they giving away something for nothing? Are they putting fewer hurdles in the way of the visitor that their competitors? Make sure your offer is at least as good as theirs. In fact, you should aim to beat their offer. When the competition is only a click away, it makes it very easy for people to compare offers. Make sure your offer is the most compelling. Try to imagine the people who buy from you, as if they were walking into your shop or office. How old are they? What jobs do they have? How much money do they have? What do they need so badly that they will buy it from an anonymous supplier they have never heard of before until now? What will stop them buying from you, even if they need what you have? Why aren’t they going to a local brick-n-mortar supplier, or a major retailer, to buy your service or product? You also need to know how they talk about their need. Someone who has a sore ear might talk in terms of symptoms, or they may leap straight to diagnosis. They may worry they have something serious and simply be looking for reassurance from an authoritative source. Or they may describe their symptoms. They may have had the condition before and be in search of a new remedy. They may want to find out where to find a local doctor. Same problem, much the same market, but different requirements. By examining how people talk about their need, you’re more likely to be able to pitch an offer they want. If you’re selling remedies online, then most of these visitors aren’t people you should be targetting, at least not directly. This is what is known as market segmentation, or dividing the market into subgroups with similar motivations. Your offer should be pitched at the right subgroup, which will not only result in higher conversions, it will reduce your PPC spend. By now, you may be thinking that this all sounds too hard. Isn’t this type of market research expensive and time consuming? It can be, but there are a number of cheap and cheerful ways you can get such information. Buy market research reports. It is reasonably cheap to obtain generic research reports. Whilst not as good as data gathering specifically for your purpose, they can provide valuable insights into market trends. For example, many people who seek medication on the internet worry about safety. Your copy may seek to ally such fears. A/B testing. People engaged in PPC often use A/B testing, also known as split run testing. For those new to PPC, A/B testing is when you test one landing page against another. Each page will be different, featuring alternative wording and or layout. The page that results in the most sales, wins. Here’s a good overview of A/B testing. Ask your customers. The best people to ask are the people who have bought from you. You can use simple surveys, and offer people rewards in exchange for their views. Why did they buy from you and not the others? Ask your non-customers. The conversion percentage of most websites is low, around 3%-10%. That means over 90% of people aren’t interested in your offer. Why not? Is there a way you can capture this information before they leave? It might be as simple as prompting them with a dialogue box or chat box. You could ask them to sign up for a newsletter by giving them something of value, so you can extract this information at a latter date. Facebook/Twitter/Social Networks – these can be great places to learn about your target demographic. Join groups relating to your niche and observe. Note the way they talk, the words they use to describe needs, the sites they recommend and their interests. By now, you have two very important pieces of information on which to base your copy. You understand something about your audience, and you understand the nature of the other offers they may be seeing. Make a more compelling offer than your competitors. Make an offer that is closely aligned with the needs of your market, and phrased in their terminology. Cover the basics – create a message that has emotional appeal, is personal and conversational. Repeat the call to action clearly and often. Even if your target audience is high-brow intellectual, it doesn’t necessarily mean they want to be pitched in such terms. The may require extensive detail, they may require obscure specifics, but it’s usually best to relegate such detail lower down the page, or off to a separate page. The thing they need to be crystal clear about is your offer and how it benefits them. They know they have a need, but they haven’t thought much beyond that point. This type of person requires a lot of education about the problem itself, then the solutions. They have a problem, and they know something about the solutions, but they’re not sure they really need to solve the problem. At least not right now. Maybe tomorrow. You need to spend a lot of time focusing on the solution, the merits of the solution, and why acting sooner than later is in the buyers best interests. They know they have a problem, and they know about the solutions, but they’re hunting around for the right deal. You have to convince them that your offer is the best one for them. Convince them that they are smart for deciding to go with you. They must have what you’re selling. This is the dream buyer. They want to buy quickly, so get out of their way and enable them to do so. Use credibility markers and a clear, precise sales process. I’m skating over the surface, as I’m sure these aspects aren’t new to you, but it’s a good idea to keep in mind what stage a buyer may be in the buy cycle. As you can see, it will change the emphasis of your pitch. There’s one other important aspect to landing pages that is seldom, if ever, mentioned in traditional copywriting manuals. The easiest thing for a consumer to do is click links and buttons. So offer them something to click. It’s an affirming action, so long as that click isn’t back! This also serves to draw people deeper into your world. You can segment your visitors by offering them different click paths, and so craft the message specifically for that type of buyer over a series of pages. 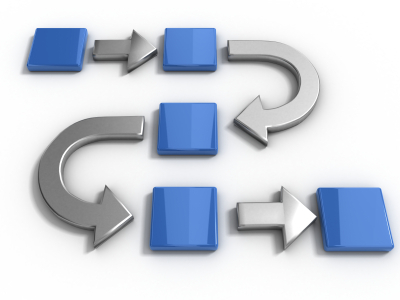 Different types of visitors will take different click paths. You can also match up click paths with keyword terms, thus helping you improve your targeting in future. For example, you may find that people who searched on “ear infection” tended to opt for click paths that offered deeper, diagnostic information. In future, you may bring people who search on “ear infection” directly to a page oriented around diagnostic information. Attention spans are getting shorter. Long sales copy pages, particularly when used as landing pages, are becoming less common than they were a few years ago. A YouTube/FaceBook, brought up on on-demand media and instant gratification generation isn’t going to spend a lot of time reading long text blocks. An older audience may do so, yet another reason for understanding and segmenting your audience. This is not to say long copy sales pitches do not work, but if you use them, be sure to “chunk it” i.e. regularly restate your offer, and offer the call to action, after making each point, or after every few paragraphs. This means visitors don’t need to read the whole thing in order to understand your offer. We’re also seeing a lot of landing pages that offer video and audio, and very little in the way of text. The copywriter is not out of a job, however, as the script is just as important as the written word. We have the ability to make landing pages very rich and compelling, but the use of technology should never distract from the fundamental principles: make the right offer to the right audience. We live in a world where trust isn’t what it used to be. In times past, people tended to place more trust in authority that they do now, including the claims made by advertisers who appeared in trustworthy magazines and newspapers. This is still the case, in some demographics – typically elderly – but generally speaking, we live in very cynical times. And it’s no wonder. By the time a person reaches an age where they become an active consumer, they’ve been bombarded with millions of messages. Messages saturate every media, so in order to retain any sanity, people get very good at tuning most of them out. Unless it relates directly to them. Again, this is why focusing on people, their needs, and how they say things is crucial. In the 10’s, we need to speak the customers language more than ever. They have the back-click button. Those under 30 have most likely been brought up in a world where they are the center of the universe. It’s all about them. So credibility, in this day and age, is largely about holding up a mirror to the audience. If you appear to be like them, then they tend to trust you. There are many markers of trust, of course, but bear this point in mind, particularly for youth demographics. If your copy talks down to them, or assumes to be the voice of authority, you’ll likely lose them.